Offers parents and teachers of autistic children effective strategies for dealing the behavior and self-management challenges their students face. Part One: The Link Between Behavior, Communication and Visual Strategies. Part Two: Assessment Considerations. Part Three: Improving Communication. Part Four: Using Visual Strategies to Support Communication and Solve Behavior Problems. Part Five: Implementing Visual Tools and Support. Part Six: The Questions and Concerns. 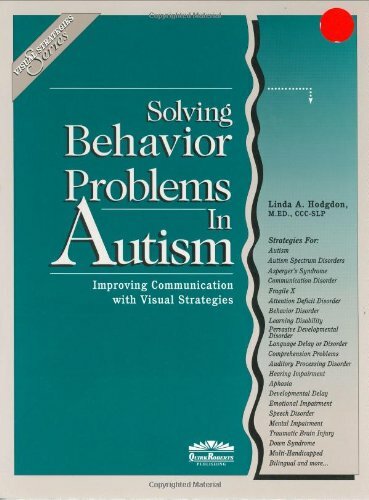 Contains samples & examples of strategies that have worked to improve communication and solve behavior problems.